The FON operation in the Paracel Island chain was called a “serious infringement on China’s sovereignty,” Wu Qian, a spokesperson for China’s Ministry of National Defense, said in a Sunday statement. In response, Navy officials told USNI News on Tuesday FON operations are a routine part of their mission to ensuring all nations have freedom of navigation and lawful use of the sea. Antietam and Higgins, “arbitrarily entered on May 27 China’s territorial waters around the Xisha Islands without permission of the Chinese government,” Wu said. China refers to the Paracel Islands in the South China Sea as the Xisha Islands. The chain has been part of the Chinese effort to extend its regional influence by building bases that can host military equipment. Last week, China’s island building activity was cited as a contributing reason for the U.S. Navy to cancel China’s invitation to take part in the Rim of the Pacific exercise. U.S. Navy officials originally invited China to participate several years ago with the hopes such interaction with the U.S. would encourage China to stop building islands in the South China Sea. The following is the full statement released by the Chinese Ministry of National Defense following the U.S. Navy Freedom of Navigation Operation. BEIJING, May 27 (ChinaMil) — China’s Ministry of National Defense has said two U.S. warships’ entry into China’s territorial waters around the Xisha Islands in the South China Sea is serious infringement on China’s sovereignty. Wu Qian, spokesperson for the ministry, made the remarks on Sunday when asked about Chinese military’s comments on the US warships’ provocation. According to Wu, two U.S. warships, the guided missile cruiser Antietam and the destroyer Higgins, arbitrarily entered on May 27 China’s territorial waters around the Xisha Islands without permission of the Chinese government. Chinese military took immediate actions by dispatching naval ships and aircrafts to conduct legal identification and verification of the U.S. warships and warn them off, Wu said. Wu said that the Xisha islands in the South China Sea are China’s inherent territory, and according to the Law of the People’s Republic of China on the Territorial Sea and the Contiguous Zone, the Chinese government promulgated the baseline of the territorial sea off the Xisha Islands in 1996. The U.S. provocative action by sending once again warships into China’s territorial waters surrounding the Xisha Islands violated Chinese law and relevant international law, seriously infringed sovereignty of China, Wu stated. The Chinese side is firmly opposed to such provocative and arbitrary actions by the U.S. side, which undermined strategic mutual trust between the two militaries and damaged peace, security and good order in relevant waters, Wu continued. The Chinese military is unshakably determined to strengthen its naval and air combat readiness, raise defense level, safeguard national sovereignty and security and maintain regional peace and stability, the spokesperson said explicitly. An Anglo-French task force will arrive in Singapore next week, and then sail into international waters that Beijing claims as territorial waters. France and Britain will sail warships through the South China Sea to challenge Beijing’s expanding military presence in the disputed waters, their defence ministers said on Sunday. The two countries, both permanent members of the United Nations Security Council, made the remarks at the Shangri-La Dialogue in Singapore, echoing the latest US plan to ramp up its freedom of navigation operations to counter Beijing’s militarisation in the region and its stance that territorial disputes should be a matter between China and its Asian neighbours. A French maritime task group, together with British helicopters and ships, will visit Singapore next week and then sail “into certain areas” of the South China Sea, French armed forces minister Florence Parly told the annual defence forum. Without naming China, she suggested the warships will cross into “territorial waters” claimed by Beijing and envisioned a potential encounter with its military. Parly said although France was not a claimant in the South China Sea disputes, by conducting such exercises “on a regular basis with allies and friends” it was contributing to a rule-based order. “By exercising our freedom of navigation, we also place ourselves in the position of a persistent objector to the creation of any claim to de facto sovereignty on the islands,” she said. Instead of accepting the situation as a fait accompli, Parly said France should question it, otherwise it will be established as a right. “I believe we should broaden this effort even further,” said Parly, adding that Europe was mobilising more widely to support this endeavour and there were also German observers on board. Beijing’s claims to more than 90 per cent of the South China Sea overlap with several of its neighbours’ and in recent months it has expanded militarisation of its man-made islands in the resource-rich waterway. British Secretary of State for Defence Gavin Williamson also told the summit that three warships would be sent to the region this year to counter malign influence and preserve the rule-based order for the long-term. “We have to make it clear that nations need to play by the rules, and there are consequences for not doing so,” Williamson said. US Secretary of Defence Jim Mattis on Saturday warned that Beijing’s militarisation of the South China Sea would face “much larger consequences”, without elaborating. The Pentagon is reportedly considering a more assertive approach in the region which, compared to their previous freedom of navigation operations, could involve longer patrols, more ships and closer surveillance of Chinese facilities such as electronic jamming equipment and advanced military radars. US officials are also reportedly pushing international allies and partners to increase their naval deployments in the vital trade route as China builds up its military presence on the disputed Paracel and Spratly islands, even if they stop short of a direct challenge. At the forum, Beijing’s representatives responded to the French and British plans by saying the South China Sea is free and open for all to travel through, and there would be no restrictions on normal freedom of navigation. “But violation of China’s sovereignty will not be allowed,” said Lieutenant General He Lei, vice-president of the Academy of Military Science and head of China’s delegation. Senior Colonel Zhou Bo, director of the Centre for Security Cooperation under the defence ministry, said the question was whether France and Britain intended to sail within 12 nautical miles of Chinese-controlled islands and reefs. “The Chinese features are not on the usual international shipping route, so if they deliberately enter those waters within 12 nautical miles, it will be seen by China as an intentional provocation,” Zhou said. Last week, two US warships came within 12 nautical miles of the Paracel Islands – which are claimed by China, Vietnam and Taiwan – and carried out manoeuvring operations. The Pentagon also cancelled the PLA’s invitation to join an upcoming international maritime exercise off Hawaii, citing “China’s continued militarisation of the South China Sea”. SINGAPORE ― A senior U.S. Navy officer has pushed back against suggestions at a regional security summit that freedom of navigation operations in the South China Sea have been ineffective, calling them a long-term strategy for demonstrating that China’s claims in the body of water are not internationally recognized. Speaking in Singapore at the annual Shangri-La Dialogue organized by the International Institute of Strategic Studies, Rear Adm. Donald Gabrielson, commander of Logistics Group Western Pacific, added that the operations, known by the acronym FONOP, are not meant to be a military provocation or intended to shape policy in the short term. Gabrielson said the operations are instead a statement on the lack of agreement to, and lack of recognition of, an excessive claim ― in this case China’s claim that the South China Sea islands it occupies and has constructed military facilities on are part of its territory. China has also deployed surface-to-air, anti-ship and jamming equipment to its reclaimed islands. The islands in the Spratly and Paracel groups are also claimed by five other Asian countries, and several have reclaimed and constructed facilities on the islands, although they have been dwarfed by the pace and scale of China’s activities. Gabrielson, who is due to be the next commander of Carrier Strike Group 11 out of Everett, Washington, added that the FONOPs were not a nation-on-nation interaction but rather a way to support the rights of all nations. However, China, which claims large tracts of the South China Sea, its islands and features as part of its territory, has been angered by the FONOPs, which it sees as a violation of its territorial waters and sovereignty. It used this year’s Shangri-La Dialogue to express its displeasure at continuing American-led efforts to push back against Chinese expansionism in the South China Sea, despite not having a speaker at the dialogue’s plenary sessions due to it sending a relatively low-level delegation to the summit. The officer accused the United States of “militarization in the South China Sea under the veil of the freedom of navigation,” following a speech by U.S. Defense Secretary Jim Mattis. Mattis had noted that the United States does not see the operations as militarization, as its ships were going through what has traditionally been an international water space, citing rulings by international tribunals based on the United Nations Convention on the Law of the Sea. MANILA, Philippines — Two nuclear-capable US bombers flew near the Spratly Islands a day after US Defense Secretary Jim Mattis accused China of "intimidation and coercion" in the South China Sea. American news channel CNN reported that two B-52 strategic bombers of the US Air Force flew within 20 miles from the islands, according to a US defense official. The Spratly Islands are also being claimed by the Philippines, Malaysia, Taiwan and Vietnam. The US Pacific Air Forces, however, has denied that the bombers flew within the vicinity of China's man-made islands in the region. The Pentagon said the bombers were conducting a "routine training mission" as they flew from the Andersen Air Force Base in Guam to a naval facility on Diego Garcia atoll in the British Indian Ocean Territory, CNN reported. Lt. Col. Chris Logan, spokesperson of the Pentagon, said that the aircraft were part of the US Pacific Command's "continuous bomber presence" operations "intended to maintain the readiness of US forces." "US Pacific Command's CBP missions, which have been routinely employed since March 2004, are flown in accordance with international law," Logan said. In a security and defense summit over the weekend, Mattis called out China for its expanding militarization of man-made islands in the South China Sea. The Pentagon chief pointed out that Beijing's militarization of the disputed features in the contested waterway includes deployment of anti-ship missiles, surface-to-air missiles, electronic jammers and the landing of bomber aircraft on Woody Island. "Despite China's claims to the contrary, the placement of these weapons systems is tied directly to military use for the purposes of intimidation and coercion," Mattis said during the Shangri-La Dialogue in Singapore. The Pentagon is reportedly weighing a more assertive freedom of navigation operations near China's bases in the South China Sea, according to Reuters. This may involve longer patrols with larger numbers of ships or closer surveillance of Beijing's outposts in the area. The British Royal Navy’s HMS Albion, a 22,000-ton amphibious transport dock, conducted a freedom of navigation patrol (FON) in waters near the Paracel islands (Xisha Qundao in Chinese) in the South China Sea in late August. The HMS Albion’s patrol was a traditional assertion of freedom of navigation on the high seas unlike the freedom of navigation operations (FONOPS) of the U.S. Navy that are designed to challenge what the United States views as excessive maritime claims. This difference illustrates variations in approach by allies to join FON in the South China Sea. China, Vietnam, and Taiwan all claim the Paracel islands. In January 1974, China resorted to force to seize South Vietnamese occupied features in the Paracel islands. Beijing angrily denounced that the HMS Albion sailed within its territorial waters around the Paracels without seeking prior approval. An anonymous British source nonetheless notes that the royal warship did not enter the 12 nautical mile limit of any feature in the Paracels, but its operation was conducted in a way invalidating China’s excessive maritime claim in the area. After the operation, the HMS Albion sailed to Ho Chi Minh City for a four-day visit to Vietnam from September 3. The patrol by the British warship demonstrated the U.K.’s serious intention to engage in Southeast Asian region. It signaled that the Royal Navy is likely to be a regular party patrolling the South China Sea. As Ian Storey and Euan Graham assert, the patrol would make U.S. happy as it resonated with Washington’s call for upholding freedom of navigation in the South China Sea. Recently, the UK and Australia made public their agreement to strengthen military cooperation. The British aircraft carrier HMS Queen Elizabeth is to be deployed to the Pacific as early as 2020 and will sail side by side with Australian navy ships. The Royal Navy has not elucidated the objective of the operation. Its spokesperson only informed in brief that “HMS Albion exercised her rights for freedom of navigation in full compliance with international law and norms.” However, regional observers widely interpreted it and previous patrols as a challenge to China’s excessive claims in the Paracels in particular and the South China Sea in general. Regarding the Paracel islands, China unilaterally declared the composition of all straight lines connecting the 28 adjacent base points in 1996. The straight baselines encircling the Paracels form internal waters area within the base points. At the same time, China claims a territorial sea of 12 nautical miles around the Paracel islands. As Carl Thayer has asserted, China’s declaration of straight baselines with the Paracel islands is not compatible with the United Nations Convention on the Law of the Sea 1982 (UNCLOS). According to the convention, drawing straight baselines is only applicable to archipelagic states. Noticeably, the Arbitration Court in Hague, in its ruling on 12 July 2016, invalidated China’s claimed historic rights to the sea areas within the notorious “nine-dash line” that also embraces the Paracel islands. Beijing only made official comments after Western media outlets cited anonymous British defence sources about the HMS Albion naval patrol. Similar to the U.S. FONOPs, China sent vocal warnings, its warship and fighter jets to shadow the HMS Albion operation. In almost a week later, Chinese Ministry of Foreign Affairs charged that the operational assertion was a provocation, violation of its domestic law, relevant international law and a breach of its sovereignty. China warned that additional operations would be detrimental to bilateral relations, regional peace and stability. Noticeably, China reactions were restrained both verbally and its actions at sea avoided any direct confrontation with the British warship thus preventing any escalation. However, China demonstrated its resolve by cancelling the important post-Brexit trade deal that London has been pursuing with Beijing because of the HMS Albion challenge. The HMS Albion indeed added up to the external powers’ endeavor to uphold the right of free access to the waterways [and airway] in the South China Sea. In a relevant move, France and the U.K. conducted a joint freedom of navigation patrol through Mischief, Subi and Fiery Cross Reefs in the Spratly islands last June as announced at the 17th Asia Security Summit, or Shangri-La Dialogue 2018. Both London and Paris considered themselves Indo-Pacific powers and committed to protecting the free passage through the strategic sea line of communications in Southeast Asia pursuant to international maritime law. Beside the two publicized patrols, both [and together with Australia] have maintained their naval operations in the area. France, for instance, sailed at least five ships in the South China Sea in 2017. The U.S. has conducted eleven publicized FONOPs to challenge China’s excessive maritime claims in the South China Sea since October 2015. Five FONOPs in the Paracels were carried out by the USS Curtis Wilbur (January 2016), the USS Decatur (October 2016), the USS Stethem (July 2017), the USS Chafee (October 2017) and the first-ever joint operation by the USS Higgins and USS Antietam (May 2018). The USS Lassen (October 2015), the USS William P. Lawrence (May 2016), the USS Dewey (May 2017), the USS John S. McCain (August 2017), and the USS Mustin (March 2018) conducted the five FONOPs in the Spratlys. The FONOP by the USS Hopper in January 2018 was undertaken at Scarborough Shoal. Despite this, South China Sea expert Gregory Poling assessed that the U.S. current strategy had failed and FONOPs were ineffective. Unfortunately, the U.S. military dynamics in the region, during and after President Barack Obama’s pivot and rebalance toward the Asia-Pacific, have not restrained China from constructing artificial islands and military bases in the South China Sea. China has finished the constructions of seven artificial islands and equipped them with modern offensive and defensive military capabilities. China has militarized the South China Sea with the installation of jamming communications and radar systems in Fiery Cross Reef and Mischief Reef, anti-ship cruise missiles YJ-12B and surface-to-air missile systems HQ-9B on Fiery Cross Reef, Subi Reef and Mischief Reef. In addition, China temporarily deployed H-6K nuclear capable bombers in Woody Island. The question from now on is to what extent China will militarize the artificial islands. States with vested interests in the South China Sea are more concerned with China’s increasing militarization of artificial islands in the region. Their concern has heightened due to the increased ambiguity of the U.S. policy in Asia. U.S. Secretary of State Mike Pompeo’s elucidation of the Free and Open Indo-Pacific is not sufficient to shore up the international rules-based order. The new Trump Administration policy is mainly economic-centric and interestingly falls short in security substance. Regional states can hardly find reassurance in the Trump Administration’s plan to deal with China’s fait accompli in the South China Sea. In addition, U.S. financial commitments under the new Indo-Pacific vision is too meagre compared to China’s expansive and ambitious Belt and Road Initiative. It would be naïve to think that Secretary Pompeo’s commitment to ASEAN’s centrality in the Indo-Pacific Region will convince skeptics of U.S. resolve to push back against China. The Franco-English joint patrol and the HMS Albion operation exemplified the increased engagement of other external powers in the South China Sea dispute. Southeast Asian states are likely to respond with caution to recent developments. The engagement of additional external powers goes in tandem with the new outward looking regionalism promoted by inclusive ASEAN over the last few decades. Nonetheless, ASEAN states should be concerned about their region once again becoming an arena for rivalry among the major powers. This is not the outcome that regional states expected after more than five decades of regional building. Tuan Anh Luc is a PhD Candidate in the School of Humanities and Social Sciences at the University of New South Wales, Canberra. 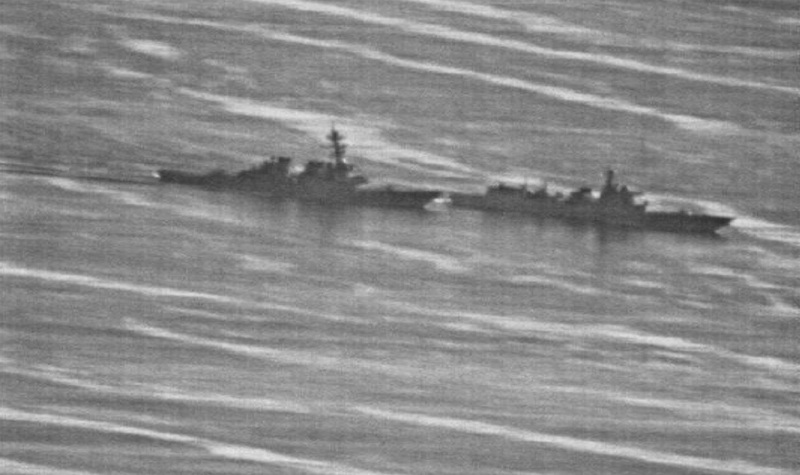 China ratcheted up its response to U.S. Navy freedom of navigation operation over the weekend, sending a Luyang-class destroyer on a near-collision-course with USS Decatur (DDG-73), but the reasoning behind the move is likely more nuanced than defending territory. No Chinese captain of a vessel would risk this type of confrontation – coming within 45 yards of Decatur – without being told to do so. And there is little chance this event occurred without the approval of China’s President Xi Jinping, China expert Bonnie Glaser told USNI News. Glaser is the senior advisor for Asia and director of the China Power Project at the Center for Strategic and International Studies. BEIJING: China on Friday (Nov 30) scolded the United States for sending naval vessels close to disputed islands in the South China Sea where Beijing has built military installations. According to the Pentagon, the USS Chancellorsville guided-missile destroyer sailed Monday near the Paracel islands, known as Xisha in Chinese, "to challenge excessive maritime claims and preserve access to the waterways as governed by international law." "We urge the US to strengthen the management of its vessels and aircraft that pass by Chinese territory to prevent unexpected events," People's Liberation Army Southern Theatre spokesman Li Huamin said in a statement. China has also lodged a diplomatic complaint with Washington, foreign ministry spokesman Geng Shuang said during a regular press briefing, calling on the US to "immediately stop such provocative actions that violate China's sovereignty". In the South China Sea, the atmosphere is getting more and more tense as days go by. China's increasing presence in the area, as the country claims this one as part of its territory, makes the US and its allies enhance their own presence in the region, mainly through FONOPS. On the one hand, the US estimates that China's claims on the South China Sea are not legitimate and condemns Chinese expansion in the region. Therefore, the U.S. Navy regularly conducts FONOPS through the South China Sea since the beginning of this year. On February 11, 2 US guided-missile destroyer, USS Spruance and USS Preble, conducted a FONOP through the South China Sea. In the South China Sea, this latent conflict between China and the US (and its allies) seems to remain a dead-end situation. And many would say it is not going to calm down in the future. Since 2017, the U.S. Navy has performed freedom of navigation operations (FONOPs) in the South China Sea routinely, on a basis of about every two months. In response to each operation, the People’s Liberation Army Navy (PLAN) customarily dispatches air and surface units to carry out verification and identification, and to warn the U.S. warships to steer away. Though now routine, these exercises continue to spark fierce debate in the academic circles and media of both countries. Chinese observers repeat official diplomatic statements, deny the legality of the operations, and overwhelmingly denounce the U.S. actions, while seldom giving voice to feasible ways of resolving the dispute. The U.S. FONOP program in the South China Sea has turned into a political battlefield with a legal façade between the two nations. It is not realistic for China to ask the United States to abandon its FONOPs, and it is just as unrealistic for the United States to ask China to simply drop its excessive maritime claims. The three policy options offered to China in this analysis, grounded in a realist perspective, could help define a path for escaping the deadlock. 1. Maintaining the status quo: if U.S. warships continue to perform FONOPs routinely, and China continues to respond in the same way, the United States will win out. Thus far, U.S. FONOPs in the South China Sea have always occurred at times and locations decided unilaterally, giving Washington the upper hand over Beijing. By sticking to its routine, the United States asserts its right to free navigation in the South China Sea in direct opposition to the Law of the People’s Republic of China on the Territorial Sea and the Contiguous Zone and the Declaration of the Government of the People’s Republic of China on the Baselines of the Territorial Sea, and in so doing undermines the authority of the Chinese government on its maritime rights of the South China Sea. By maintaining this course of action over time, the United States shapes international custom and consensus, strengthening international recognition of its freedom of navigation concept (which differs from that of China in regard to sovereignty, jurisdiction and historical rights). Every time the United States engages in a FONOP, the Chinese side waits to react. Each U.S. FONOP is usually followed by representations and protests lodged repeatedly by Chinese spokespersons in the Ministry of Foreign Affairs, the Ministry of National Defense, and the Southern Theater, reiterating China’s policy of taking necessary measures to defend national sovereignty and security. However, these statements do nothing to stop the next FONOP. The Chinese side also sends warships and military aircraft, with a stated goal of verifying and warning off the U.S. warships. But according to reports from media aboard the U.S. ships, the Chinese warships and military aircraft only follow the U.S. ships and monitor them from a safe distance, calling from time to time via radio to warn them off to no effect. China has largely stuck to this course of action for more than three years and such a response has failed entirely at stopping U.S. FONOPs. It stands to reason that if China continues this style of response, further FONOPs will continue to undermine China’s national credibility. On September 30, 2018, the USS Decatur was forced to change course during a FONOP near Nanxun Reefs (Gaven Reefs), when the PLAN destroyer Lanzhou tried to intercept the U.S. destroyer. This is probably the only actual interception made by China’s navy on a FONOP since 2015. However, neither of the subsequent statements by the Ministry of Foreign Affairs or the Ministry of National Defense said anything about the interception attempt or the forced course correction, giving up the opportunity to publicize what could be called a successful eviction. The low profile adopted by Beijing may be a clue that top Chinese officials did not approve the action, or that they are worried about its negative impact. In a Chinese military command system that emphasizes highly centralized and unified leadership, it is hard to imagine seeing another such interception by sea/air operating forces (if that was indeed the situation). 2. Responding harshly: even if China meets U.S. FONOPs with force including dangerous approaches, collisions, or even a minor conflict, it is unlikely to stop FONOPs. If China take a tough line, will it force the United States to stop FONOPs? This ultimately comes down to a comparison between the military might of China and the United States, and whether the United States has sufficient confidence in a military confrontation with China in the South China Sea. Based on the current U.S. military presence in the Asia-Pacific region, the United States is unlikely to make concessions to Chinese military pressure. As far as FONOPs go, the United States has always pursued an unforgiving policy backed by military strength, and has never been intimidated by an adversary into halting FONOPs. In the 1980s, during the Cold War, even though the Soviet Navy dominated in some areas, the U.S. Navy insisted on carrying out FONOPs in the Soviet Union’s territorial seas. Despite intentionally colliding with U.S. ships exercising innocent passage in the Black Sea in February 1988, the Soviet Union ultimately yielded to the U.S. position that innocent passage does not require approval from the coastal state. Considering the relative strength of Chinese and U.S. forces today, it is hard to believe that a tough response from China would be any more effective in forcing the United States to stop FONOPs. The global and longstanding practice of FONOPs by the United States over the past three decades also makes it less likely to be deterred from operations in the South China Sea. Since 1991, the United States has challenged the excessive maritime claims of nearly 60 countries around the world, and convinced at least nine countries and areas to revise domestic legislation on innocent passage, including the Soviet Union, Bulgaria, Vietnam, Latvia, Sweden, Denmark, Indonesia, Finland, and Chinese Taiwan. Moreover, though the two countries have agreed on avoiding incidents and conflict in the air and at sea, this does not mean that the two nuclear power are not prepared for small-scale conflicts. 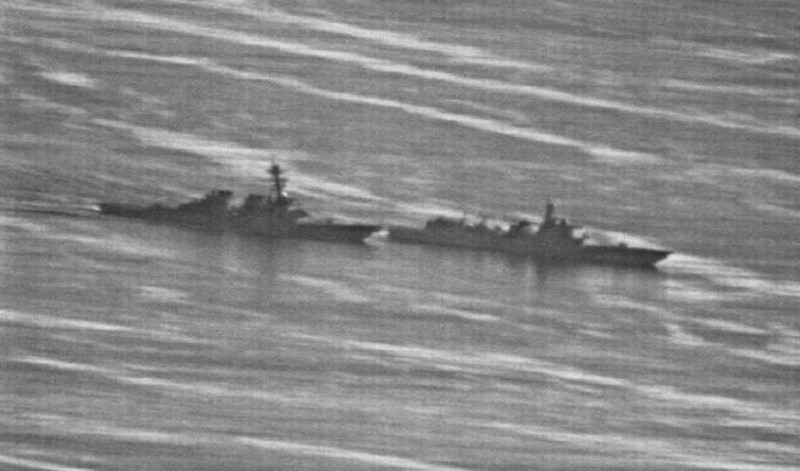 If China takes tough measures to intercept or collide with U.S. warships, the United States is less likely to suffer in potential air and sea small-scale conflicts because of its military superiority in the region. Even in a “tie” scenario, the heightened tensions in the South China Sea would create opportunities for the United States and its allies to reinforce their presence in the region. As a result, China would lose relative strength in the security order of the South China Sea. 3. To seek mutual compromise: China and the United States can maximize common gain by consulting on, and compromising mutually over, maritime laws relevant to freedom of navigation. f) the artificial islands in Nansha Islands (Spratly Islands), and their claimed territorial seas. Setting aside the last point, which China considers a matter of territorial sovereignty, the disputes stem from different understanding and interpretations of the rules of contemporary international law of the sea. These divergences are rooted in the different perceptions of ocean values ​​between China, a traditional continental country, and the United States, a country with a longstanding connection to its two adjacent oceans. But as China’s increasing global influence, driven by projects like the Belt and Road Initiative, will benefit from coordinated development of land and sea, Beijing may realize the benefits accrued to its long-term maritime interests from the freedom of navigation concept. That may allow some room for China and the United States to negotiate on the disputes over FONOPs. Compared with China’s other maritime disputes, which involve territorial sovereignty and maritime delimitation in the Yellow Sea, the East China Sea, and the South China Sea, the issue underpinning disputes over freedom of navigation is more of a theoretical debate. Rather than centering on irreconcilable claims of ownership that run against China’s core interests of national unity, territorial integrity and development, the dispute is instead one of how the sea should be utilized and how it should be governed. There is space for consultation between China and the United States here. As China’s relative strength vis-à-vis its neighbors grows in the South China Sea, maintaining stability is a top priority. Keeping a low profile and avoiding conflict between China and the United States in the South China Sea should be China’s long-term policy. Resolving divergent opinions over freedom of navigation through careful negotiation, and amending domestic laws and policies on innocent passage or military use of the EEZ, while seeming on their face to be concessions, would indeed be a path of major progress toward oceanic power for China. Captain Liu Xiaobo (Ret.) is an associate research fellow and director of the World Navy Research Center, National Institute for South China Sea Studies (NISCSS), in Haikou, China. His research focuses on national maritime security policy, sea power, and the Law of the Sea. Prior to joining the NISCSS, Capt. Liu served in the Chinese navy for 25 years, working as a navigation officer aboard the PLAN destroyer Harbin and later as a research associate in the Naval Research Institute. Why did a Coast Guard cutter take a jab at China? 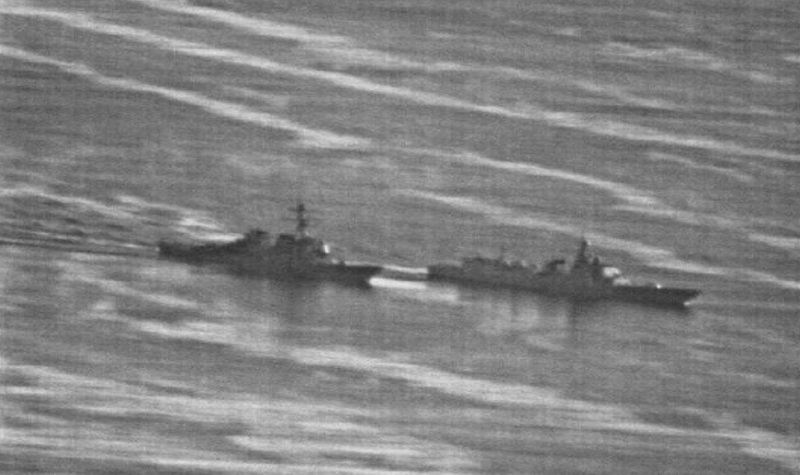 A U.S. Navy destroyer and a Coast Guard cutter have transited the Taiwan Strait, the latest demonstration of American resolve to portray it as an international thoroughfare instead of a Beijing backwater. The cutter Bertholf arrived in Sasebo, Japan, on March 3 to add a law enforcement touch to ongoing efforts in the East China Sea to enforce United Nations Security Council resolutions barring contraband ship-to-ship transfers of coal, fuel oil and other supplies by North Korea. During its brief East China Sea patrol, Bertholf’s California-based crew operated under the tactical control of the Navy’s Japan-based 7th Fleet. That’s not unusual duty for Coast Guard personnel, who often embark on Navy vessels in the western Pacific to enforce a wide array of treaties, especially those designed to combat illegal fishing and narcotics trafficking. But the provocative use of Coast Guard vessels to perform freedom of navigation operations — or FONOPs — also has been discussed for years, according to a 2017 Center for International Maritime Security piece by Michael Armour, a retired Army officer and former professor at the Naval War College. FONOPs involve U.S. warships sailing in international waters, particular those of the South China Sea, where Beijing has seized, lengthened and fortified a string of rocks, islets and atolls to assert territorial claims disputed by neighbors such as the Philippines, Vietnam and Taiwan.